Dr. Lyn O’Connell of Marshall Health at Project Hope in Huntington, WV. Sue Meeks has worked with children for years as a registered nurse. Meeks manages the family navigator program at Ohio University Heritage College of Osteopathic Medicine in Athens, Ohio. Several years ago, she started noticing three and four-year-olds coming into the program with certain distinctive behaviors. She saw delays in language and motor development. The symptoms did not line up with the typical presentation of autism or ADHD for children of that age. But there was a common denominator: exposure to drugs in the womb. Neonatal Abstinence Syndrome, or NAS, is the result of severe in-utero drug exposure. It has hit the Ohio Valley hard with more than 16,000 babies affected over the past five years in Kentucky, Ohio, and West Virginia. A Univ. of Kentucky researchers’ images of infants with NAS symptoms. West Virginia, for example, has one of the highest rates in the nation with more than 5 percent of babies born diagnosed with NAS in 2017. Specialists rushed to help these children when they were born. Advancements in treatment have helped relieve withdrawal symptoms for both mother and baby. Now researchers are turning attention to the potential long-term effects. Researchers especially want to better understand how NAS affects the ability to learn so that parents, schools, and communities are prepared to help these children reach their developmental milestones. “It’s a multi-pronged mystery that I’m not sure that we will ever totally solve,” Meeks said. The research can become complicated because not every child exposed to substances in the womb is diagnosed with NAS, and the severity of NAS symptoms varies from child to child. Health experts can’t say for sure if developmental delays can be attributed to drug exposure, other factors, or genetics. Ohio University and Nationwide Children’s Hospital operate an NAS clinic in Athens, Ohio, to research how often NAS causes long-term effects, and also how different drugs affect development. Early research has mostly focused on opioids. One of the first studies came from Australia in 2017, where researchers compared the academic progress of 2234 students who had a history of prenatal drug exposure with a group of students with similar demographics but not born with NAS. The mean test scores of the children born drug-affected were lower than those of their counterparts. The results worsened as the students aged into high school. Researchers in Tennessee more recently released a study in September that analyzed close to 7,200 children aged 3 to 8 enrolled in the state’s Medicaid program. That study found 1 in 7 children with a history of opioid exposure in the womb required services for developmental delays. Development delays possibly related to other substances, however, did not seem to affect a child the same way as NAS caused by opioids did, according to Meeks. A increase in the use of opioids mixed with multiple substances has also complicated the issue as researchers work to figure out how that affects long-term development. Ohio University is also a part of the Ohio River Valley Addiction Research Consortium, a group of colleges and universities, along with health professionals, law enforcement, social workers and advocates. A regional research consortium focuses on NAS. The consortium chose to focus on NAS as the first issue for their collaborative research. OU played host to the group at its most recent meeting in November to discuss the latest research and discuss how they can better study long term-effects. They hope to work together as this generation of children enters the public school system. “Everybody knows in the next five to 10 years the school population is going to look very different,” Meeks said. 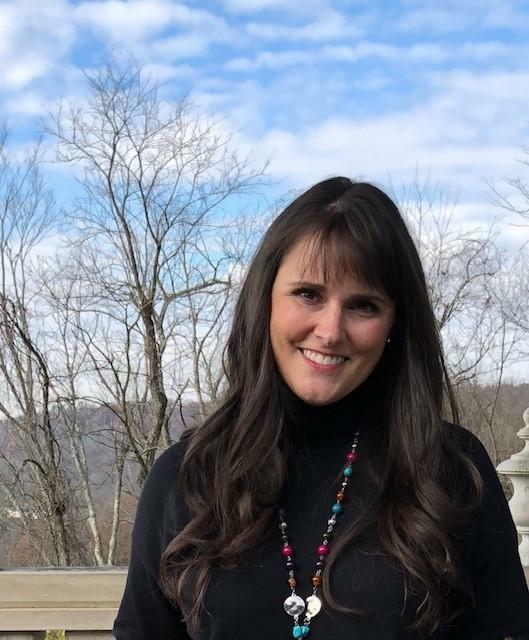 Molly Sawyer is a doctoral candidate in education at Miami University, Ohio, and has 20 years experience as an educator from Montgomery County, Ohio. She focuses on long term-effects of NAS and best practices for educators to help affected students navigate the school system. The region’s public schools might face a tough challenge, according to Sawyer. Sawyer is uniquely qualified to tackle this subject. She doesn't just research the issue, she lives it as a foster and adoptive parent. One of her adopted sons was exposed to opioids in the womb. Molly Sawyer has worked on NAS issues as a teacher, researcher, and parent. She was inspired to pursue her study when she noticed that some of the research on NAS was lining up with the experience with her son. “He was a great baby but just was experiencing the world a little different as an infant, and needed us to care for him and respond in a different way,” Sawyer said. She draws on her studies and six years of experience with her son to help the local school system understand these students and what educators can do. There are also programs that create trauma-informed schools. Teachers learn what these children have gone through and how it can possibly change their brain structure. Medical professionals can also help these children in the classroom, according to Sawyer’s personal experience, by helping them manage behavioral issues like impulsiveness and hyperactivity. Ultimately, Sawyer is optimistic about the school system’s ability to handle this issue as long as teachers continue to be willing to learn and create relationships with students who may just need extra attention. Elsewhere, treatment and recovery programs work to help mother and baby together. Project Hope for Women and Children in Huntington, West Virginia, is a residential facility where mothers struggling with addiction can live with their children as they get help. Marshall Health operates Project Hope in partnership with the Huntington City Mission. The program's goal is to fill the gaps in care for mothers with substance use disorders. Evidence-based treatment, recovery programs, job training, housing, and parenting courses are just some of what Project Hope offers to mothers. They are also invested in the health of the children, monitoring them for developmental delays. If a child appears to struggle with meeting a milestone, the staff will instruct the mother how to help. Project Hope just opened its doors in December and now has seven families living in the 18- apartment complex. The goal for now is to bring in more families to the Huntington location and then later look into expansion to other regions. Children and mothers affected by NAS also face challenges from the stigma attached to substance use disorders. Treatment experts hope the country has learned lessons from a previous epidemic. The rise of cocaine use in the 1980s and 1990s came with a societal worry over “crack babies.” Women struggling with cocaine addiction and their children, predominantly people of color and low socioeconomic status, were subject to shame and ridicule. Research showed that predictions about prenatal cocaine exposure were overstated, but the stigma still had an impact. “This moral panic may prevent mothers who use drugs from accessing prenatal care because they are afraid of being judged or mistreated by medical professionals, or of being forced into the child welfare system,” according to the Substance Abuse Mental Health Services Administration. Specialists around the Ohio Valley urge the public to keep this in mind when discussing mothers and children of the opioid crisis. Researchers may not know how many children will experience the long-term effects of prenatal drug exposure or the challenges they will face. But there are people around the Ohio Valley ready to embrace them and help them overcome those challenges. 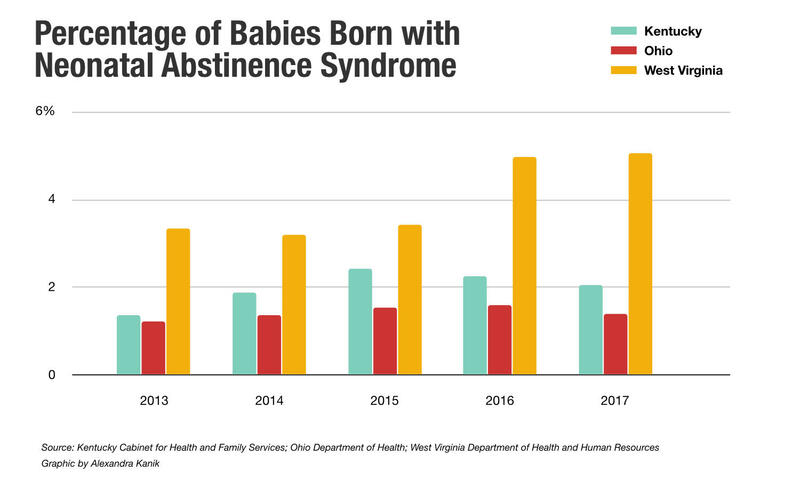 On this West Virginia Morning, the opioid crisis is hitting a new generation in the Ohio Valley with thousands of babies born affected by drugs in the womb. Doctors call it neonatal abstinence syndrome, or NAS. Now researchers are looking for the long-term effects NAS has as children grow. 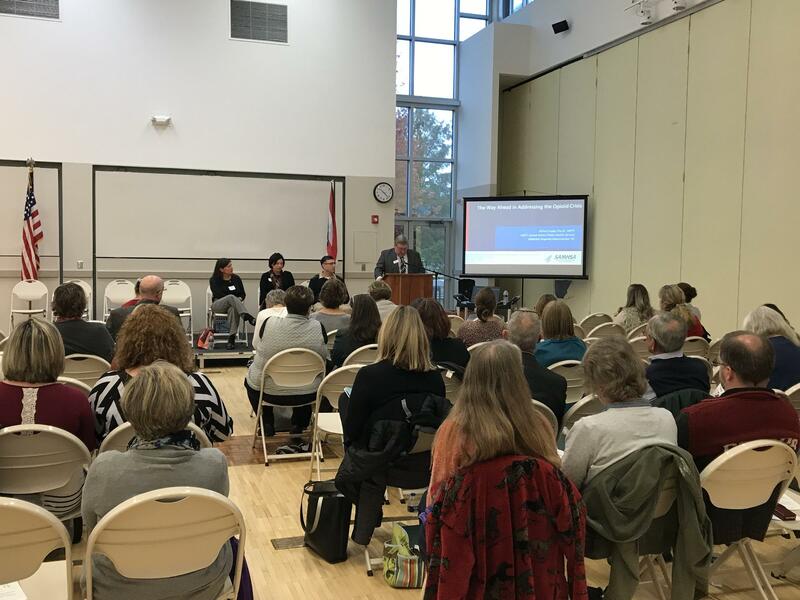 As the Ohio Valley ReSource’s Aaron Payne reports, the research could help parents, schools and communities meet a new challenge. The West Virginia Department of Health and Human Resources and West Virginia University are launching a pilot project to address substance use in Berkeley and Jefferson counties.